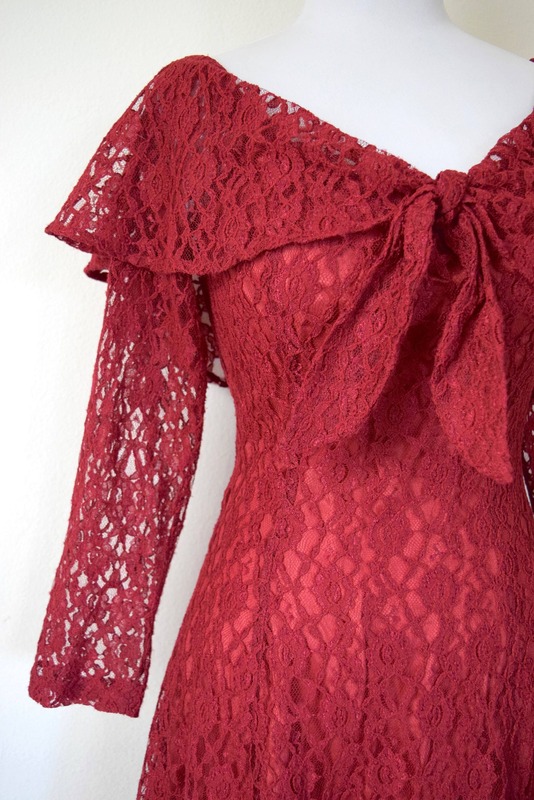 Cranberry lace off-the-shoulder mini dress with 3/4" sleeves and flouncy skirt. Fully lined in satin (except for the sleeves). Zips up the back. Across at hips: 18" - 21"
Length from sleeve to neckline: 20.25"
For reference, model is 5’7” and measure 34” bust, 27” waist, and 34” hips.